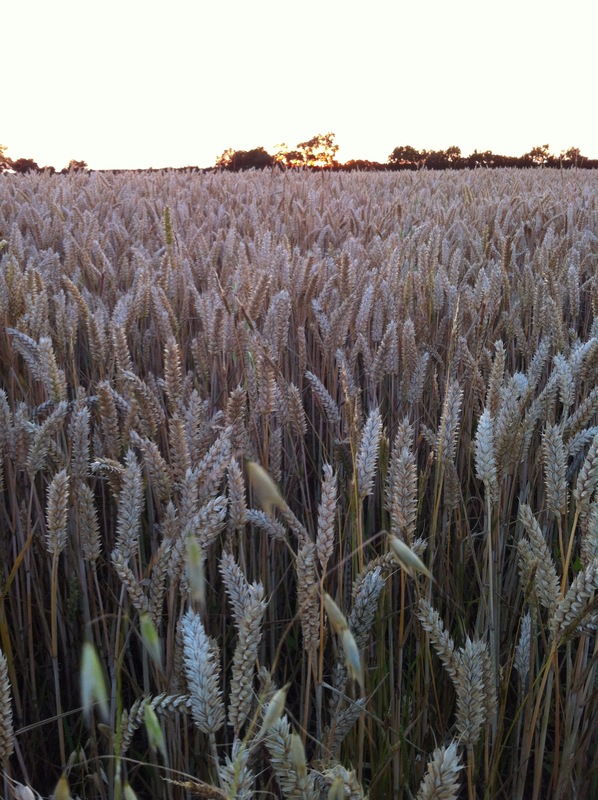 Our garden was a field of wheat when we bought the house. We had to wait until the autumn harvest. Then the farmer ploughed our plot and we threw around handfuls of grass seed with wild flowers mixed in. We planted 250 sapling trees. Oak, ash, hornbeam, willow. And we waited. We planted a boundary hedge of hawthorn, crabapple and rowan for the birds. 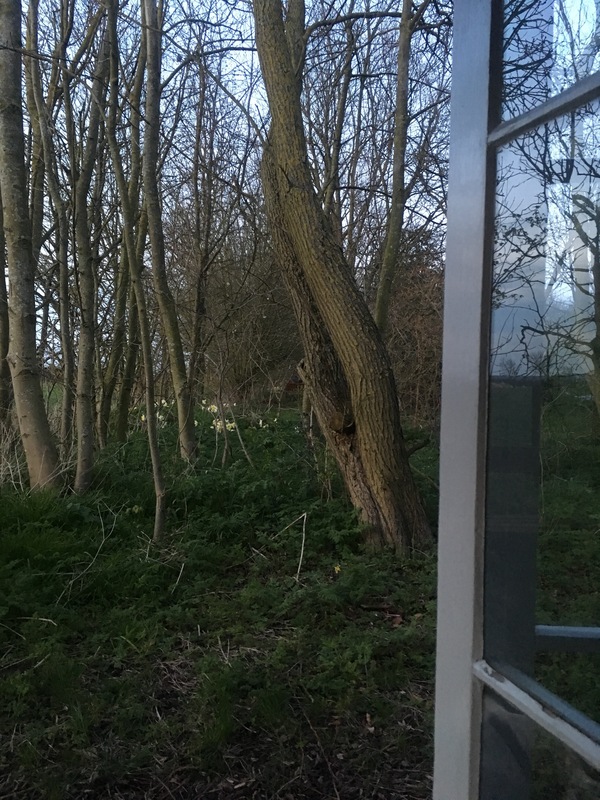 Hazel for coppicing. Violets in a race against time to flower and set seed before cow parsley and campions tower over them. 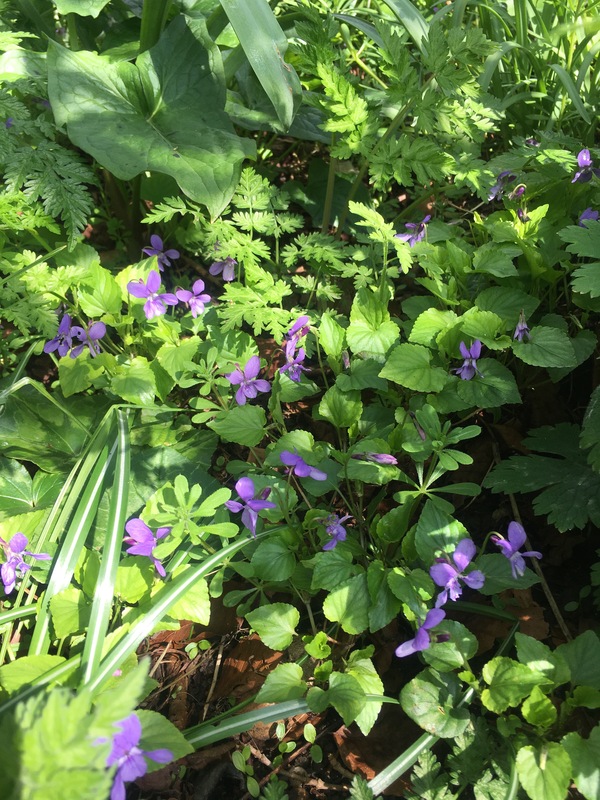 The violets have escaped from the woodland and are thriving in the lawn. For weeks in April and May, the lawn is studded with sweet-scented violets. We set the mower blades high, and skim over them. We planted closely, so each tree and shrub shelters its neighbour. This is a good way to create a “woodland” feel in a short space of time. We coppice the hazel and use the twigs for growing climbing beans and sweet peas. There’s always plenty of kindling for winter fires. Wild anemones stream out along the woodland floor, searching for sunlight. I planted a few at one end of the wild garden. The anemones moved to where they were happiest. I often find that plants pop up in unexpected places. Sometimes they move from one side of the garden to the other. Nature seems to know best. 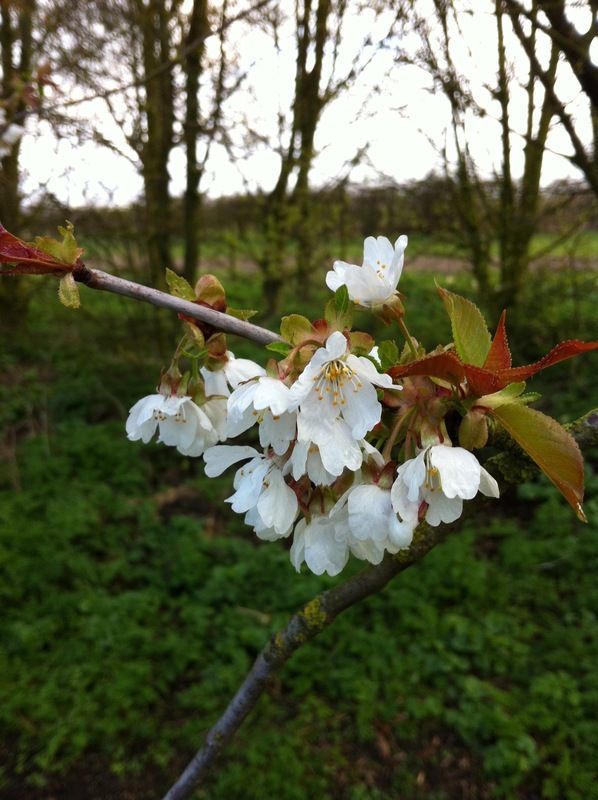 We planted a bank of cherry trees- enough for us, and to share with the birds. There’s always enough for everyone. Thanks for reading. Please stop by again to see the garden through the seasons. It’s a peaceful haven for wildlife and humans. I don’t mind sharing. That first photo is really impressive. I like that you planted the cherry trees to share. The woodland is beautiful too. thank you for your kind words. much appreciated. I’m sitting in the garden listening to the woodpeckers today. We had a nest in the garden this summer- and saw two baby spotted woodpeckers. It really made our day. Thank you . It’s good to share with the birds. I enjoy seeing them in the garden as much as I enjoy the flowers and shrubs to be honest. Thanks for your comments. How wonderful to be able to plant so many trees! Our little woodland was already here when we arrived, some of the trees must be 200 or even 300 yrs old. 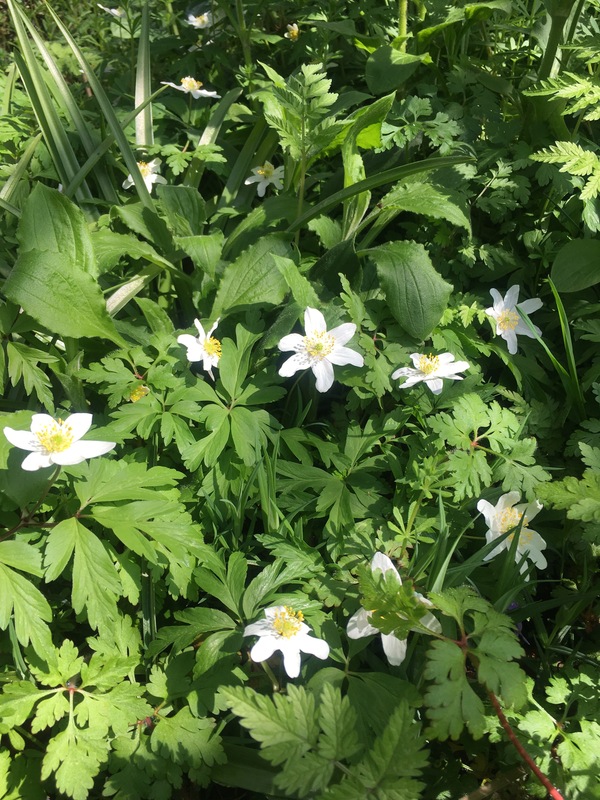 I can’t say my wood anemones have moved around, they seem to have stayed where I originally put them. I love that you have planted cherries to share with the birds! My wood anemones do move, but only because I inadvertently take some when I move other stuff around. I wish I had bought single ones now, but I didn’t know any better when I bought them so many years ago. I was just about to order some blue ones….then I thought better of it. Better to have sheets of white, all the same than to mix in some blue. They are bound to move from where I plant them anyway. I do love the double ones. Haven’t any here though. thank you Pauline. How wonderful to have such established trees. We’ve cheated by planting them so close that they nurse one another and grow up thin and tall. It’s a trick really. But we get to thin them out for the fire ( never need to buy any wood.) thanks for taking the time to comment. It’s much appreciated. Just wonderful Karen – so enjoyed your approach to your garden and the woodland carpets. I love hazels too and we have about 7, all told. I’m making hazel chocolate biscuits today. Home grown hazels taste much stronger than bought ones. If you can get them before the darned squirrels :). Thanks for your comments, as always, much appreciated. Oh – I shall have to try them. I love my hazels! But I know what you mean about catching them before they are thieved by someone else! How inspiring and spot on -even in a small garden woody stuff should be the first consideration. Must be moving to have planted so very many, it’s a ‘for the future’ thing isn’t it? Wonderful! Planting a garden is a fantastic experience, always best when friends and family muck in. How lovely and peaceful, Karen. How long has it taken to get to this stage Karen? It must be both daunting and exciting to have to start from scratch. You have some lovely trees now – beautiful colour.